Cosmetics and pharmaceuticals together make cosmeceuticals. A cosmeceutical has the active potential ingredient to bring about visible changes to the skin, and these changes are backed by clinical indication. Cosmeceutical products are marketed as cosmetics, though they comprise biologically active ingredients that provide medicinal or drug-like properties. For example, anti-wrinkle skin creams includes ingredients such as alpha lipoic acid and dimethylaminoethanol and creams containing cellular replacement serum that claim to have anti-aging properties. The cosmetic industry coined the term, though the US FDA does not recognize the term cosmeceuticals. A cosmetic product will effectively maintain skin quality by providing somewhat temporary results. It may contain active ingredients, though concentration of these actives is usually negligible. A cosmeceutical product differs from such cosmetic products, as it has a high concentration of active ingredients and usually comprises various active ingredients. This formulation can bring about visible changes to the skin making it a results-focused product. Cosmeceutical products are restricted to professional skin care vendors where a consultation can be provided. The cosmeceuticals market includes a large category of cosmetic products that have drug-like benefits. Varity of cosmeceuticals products available in the market include lip care, skincare, tooth whitening, hair care, injectable and others. The skincare segment holds a prominent share and is followed by hair care segment. In the skincare segment, anti-ageing products are most popular and hence, gross maximum revenue. 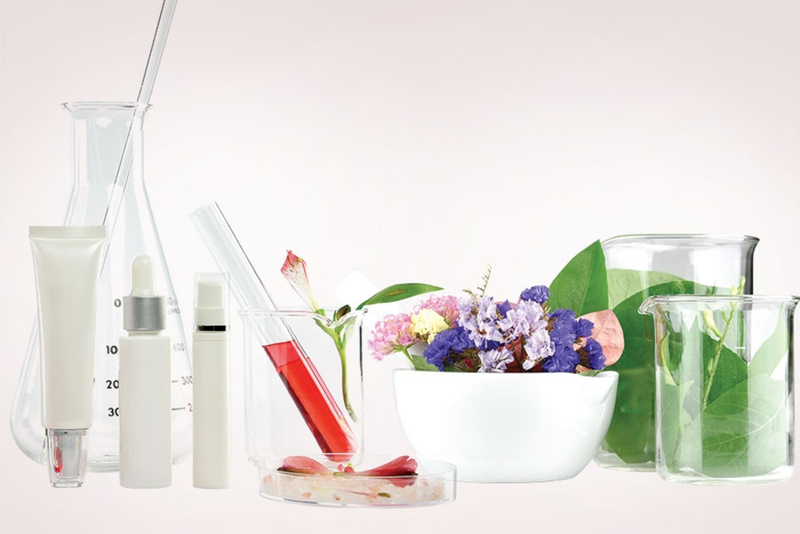 The global cosmeceuticals market is expected to witness strong growth over the forecast period, owing to rising consumer awareness regarding the benefits of cosmeceuticals. Among all regions, North America is projected to contribute the highest market share, followed by Europe throughout the forecast period. The well-developed healthcare infrastructure and high per capita income in the U.S., drives growth of the cosmeceuticals market size. The Asia Pacific market in cosmeceuticals is projected witness highest growth during the forecast period, due to large middle-aged population (the largest demographic group in the market) and increasing disposable income in this region. In Asia Pacific region, Japan is expected to contribute largest market share and to exhibit with highest growth, followed by China. Integration of advanced technologies such as nanotechnology, plant stem cell technology, and the development of new active ingredients are spurring growth of the global cosmeceuticals market. Large middle age population and baby boomer generation are inclined towards maintaining their personal aesthetic appeal, in turn fueling growth of the global cosmeceuticals industry. Furthermore, development of new active ingredients will create opportunities for global market. A major factor that restraints growth of the cosmeceuticals market is growing consumer awareness related to harmful effects of ingredients used in cosmeceuticals. In cosmeceuticals, only Federal Trade Commission (FTC) works to scrutinize any advertised claims of pharmaceutical products or scientific validity. Opportunities in cosmeceutical market development are those that provide protection of skin from radiation and also oxidant damage by non-irritating ingredients which improve skin appearance.